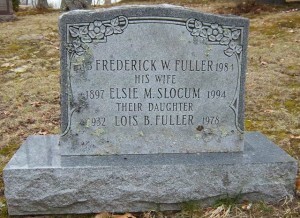 Born: November 22, 1897 in Dartmouth Ma. 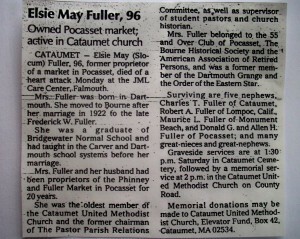 Occupation: Teacher, Owned Phinney & Fuller Grocery Store in Pocasset Ma. Where Lived: 1316 County Rd. 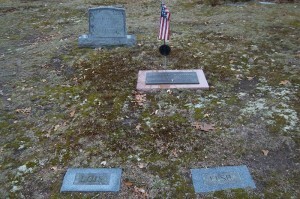 in Cataumet Ma. 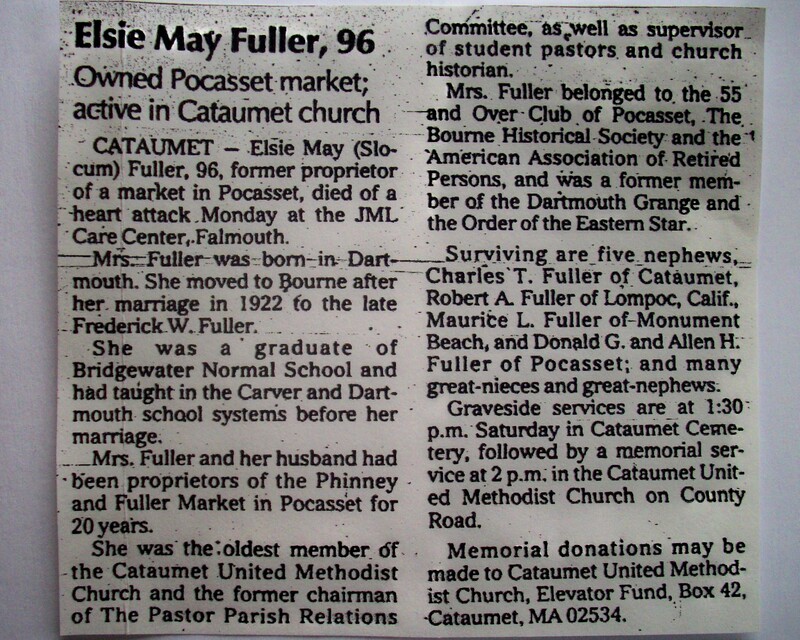 Died: March 14, 1994 in Bourne Ma. 1. 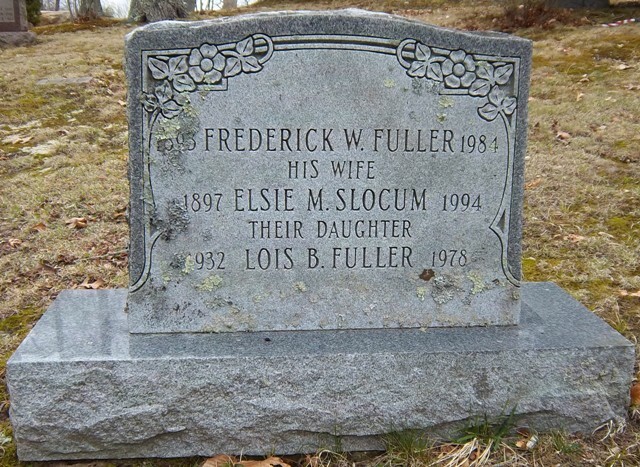 Lois B. Fuller; (1932 – November 15, 1978); Lois was a teacher in Connecticut; Unmarried; She is buried in Cataumet Cemetery with her parents Frederick W. & Elsie M..